Mani Ratnam’s “Raavan” is getting rave reviews in the American media with the New York Times making it “a Critics’ Pick”, a distinction rarely if ever earned by an Indian film. The Los Angeles Times as also entertainment trade papers “Variety” and “Hollywood Reporter” too have praised the film that opened Friday on over 2200 screens around the world in 35 countries including US and Canada. “And that, folks, is entertainment,” was the Times’ verdict. “Filled with rich colours and lively action, Mani Ratnam’s classically themed epic brings together the mythology of Indian culture and the flair and fun of Bollywood with tremendous flourish,” it says. 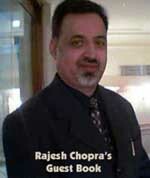 “Consistently one of India’s most versatile and exciting directors, Ratnam angles for one of his bigger commercial vehicles by mixing knockout action sequences, primal dramatic elements and superstar Aishwarya Rai Bachchan, who stays ravishing even as she’s sent through the physical wringer opposite husband and co-star Abhishek Bachchan,” says Variety. “Stellar cast and good word of mouth look to draw strong B.O. worldwide,” it forecasts. It’s one of the most awaited films of the year, and our readers are already aware that the stars of the film have gone through very tough situations during the filming of Raavan. 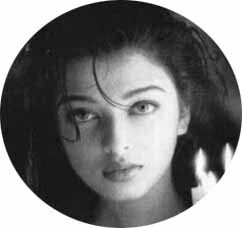 In fact, Aishwarya Rai recently revealed in Cannes how grueling and physically demanding shooting for Raavan was. No wonder that according to the two Raavans of the film it is Ash who is the real ‘hero’. Well it’s understood that Abhishek Bachchan, besotted by his beautiful wife, can say something like this; but south superstar Vikram too is of the same opinion. As we’ve learnt, right from the start Junior B and Vikram called Ash the hero of the film, as she was doubling up for both the Hindi and Tamil versions and thus had maximum number of physically strenuous sequences amidst the rugged hills, swampy forests, and muddy rivers. production Raavan in Hindi and Tamil is a modern day adaptation of the Ramayan. However the director now is trying to play it down as he does not want to get the ire of the Hindutva brigade. The one line story is about a married women Sita (Aiswarya Rai) getting kidnapped by a guy with negative shades, a modern day Ravan (Vikram in Tamil and Abhishek in Hindi version), and subsequently they get attracted to each other. Meanwhile her husband a Police Officer ( Prithviraj in Tamil and Vikram in Hindi), who always thinks negatively does not have the best of relationship with his wife as he is devoted more to his brother (Laxman?) played by Prabhu. The protagonist is Ravana, an anti hero who is doing it to take revenge on the cop who humiliated his sister (Priyamani) and was responsible for her death. Mani fearing the wrath of Hindu organizations is now trying to keep the parallel between his ‘fictional’ story and Ramayan to the minimum. He has not shot any intimate love scenes between Vikram (Abhishek) and Aiswarya Rai, and as per sources it is suggestive.